Brendan Clarke; Ger O’Brien, Conor Kenna, Kenny Browne, Ian Bermingham; John Russell, Greg Bolger, Killian Brennan; Conan Byrne, Anto Flood (Christy Fagan 77), Daryl Kavanagh (Chris Forrester 70). Gary Rogers; Alan Keane, Evan McMillan (Lee Lynch 87), Gavin Peers, Iarfhlaith Davoren; Raffael Cretaro (David McMillan 74), David Cawley, Danny Ventre, Aaron Greene; Kieran Djilali; Danny North (Anthony Elding 63). 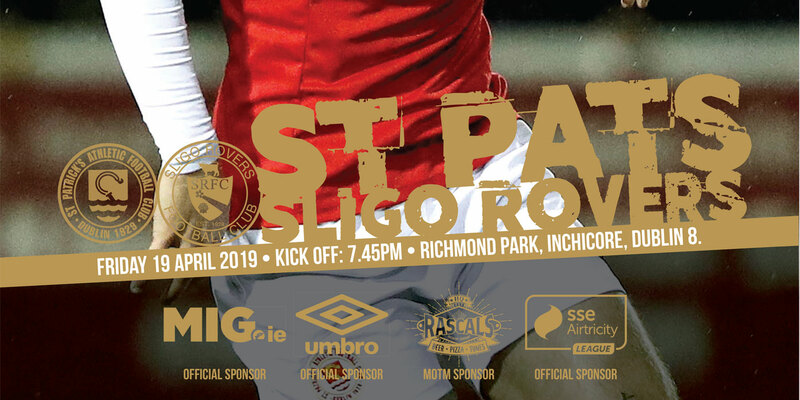 St Patrick's Athletic have been crowned Airtricity League champions after beating Sligo Rovers 2-0 at Richmond Park. A sublime strike from Greg Bolger and a well-worked Anto Flood effort secured victory for Liam Buckley's side as they landed their first league title in 14 years. 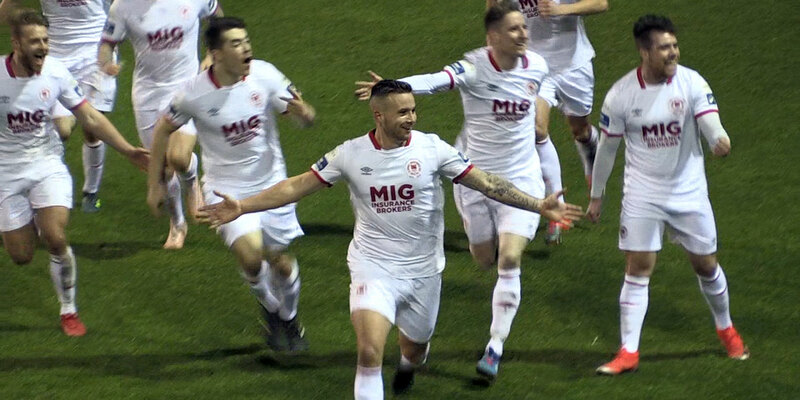 The win, which stretched Saints unbeaten run to 13 games in the league, was all the sweeter given it came against reigning champions Sligo Rovers who, 12 months to the day, had beaten St Pat's 3-2 at the Showgrounds to lift last year's crown. With President Michael D Higgins and Republic of Ireland interim manager Noel King in attendance, it was Sligo who started the better, creating two chances inside the opening five minutes. Saints keeper Brendan Clarke did well to save Alan Keane's early shot, which took a deflection off Killian Brennan. Evan McMillan should then have done better than head straight into Clarke's arms with a free header from Aaron Greene's diagonal ball. Minutes later, Clarke fumbled a weak shot from Kieran Djilali as Sligo had clearly started the better. A first real sniff of goal came St Pat's way after 13 minutes when Daryl Kavanagh sliced well wide after a mis-kicked clearance by Sligo keeper Gary Rogers. Having settled into the game, St Pat's then had their fans in raptures on 33 minutes when they took the lead from a stunning goal. A weak, headed clearance fell for Greg Bolger some 25 yards out. And the anchor midfielder took a controlling touch before unleashing a cracking right-foot drive that flew into the top corner of Rogers' net for a wonderful first league goal of the campaign. Rogers prevented a second home goal on 41 minutes, diving full stretch to push Killian Brennan's free kick around the post. But St Pat's duly doubled their lead a minute later. A terrific break down the right by John Russell resulted in his perfect low cross giving Flood a simple tap in. 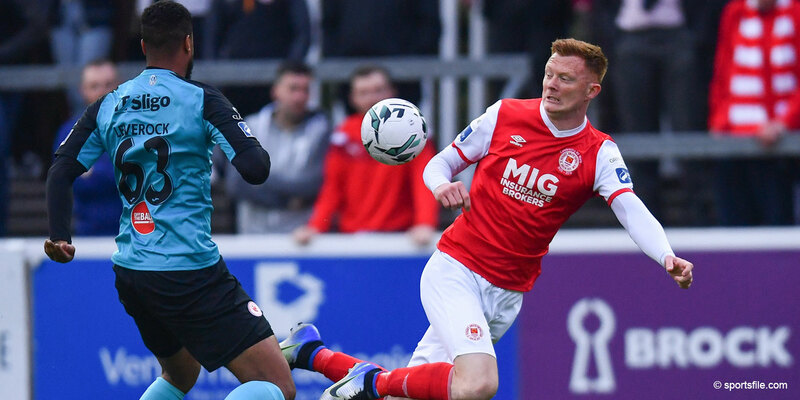 In a less-exhilarating second half, Sligo almost got back into it on 74 minutes. But twice Clarke did well to save, first from Keane and then from a David Cawley follow up. Fittingly, man of the match Bolger was then there to clear off the line six minutes from time in the final countdown to the ecstatic scenes that welcomed Alan Kelly's final whistle as an eighth League of Ireland title pennant was on its way to Inchicore.